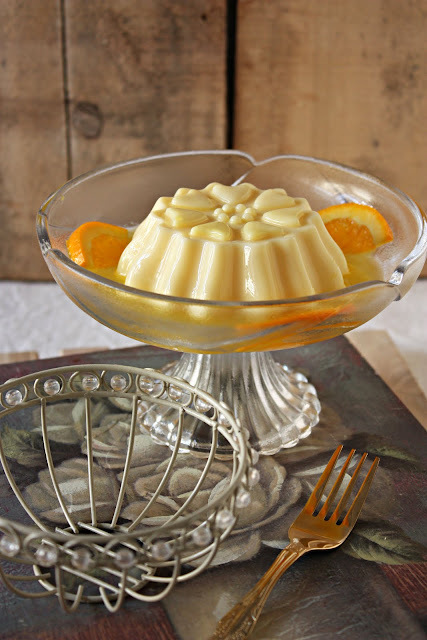 This jelly made the Top 9 on Foodbuzz 2nd May 2011. Thank you to the Foodbuzz community. Happy Buzzday! Truth is....I was tentative about making jelly. I rarely make jelly. It's like eating air. Almost. It doesn't fill you up, it doesn't provide you with much nutrition, its not ice cream, it's not pudding, it's simply solidified sweet drink in wobbly form. Neither hunkily solid nor refreshingly liquid. Neither here nor there, neither good nor bad, neither right nor wrong. 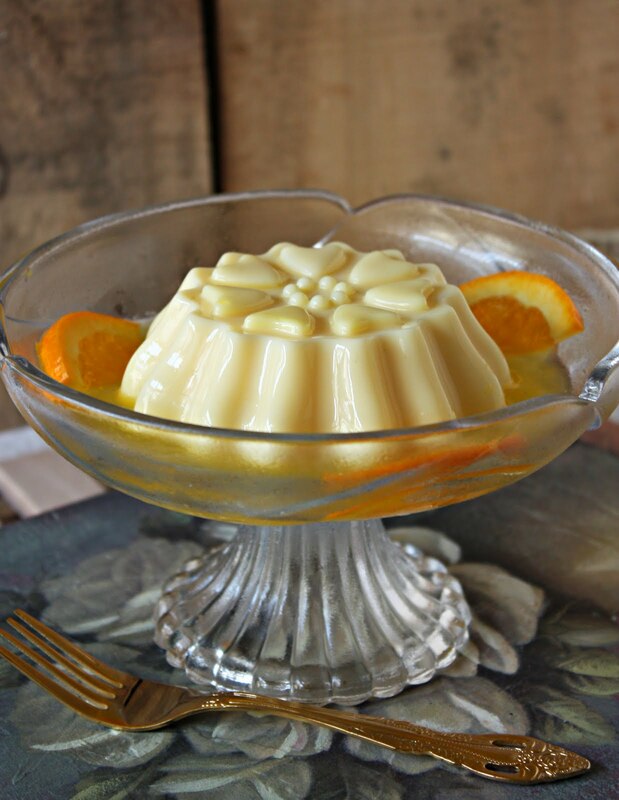 So I rarely have never made jelly to the memory of my grown children (have I sinned?). Some of them didn't quite know what it was when I did make these pretty things. They asked. And I answered "Jelly". Cynical faces. Gelatine was foreign to them too (because I never did speak gelatine to them). So I spoke jelly. Again. Never mind. I gave up. But when I offered some to Z and R they finished it up and announced "Sedap". R playfully repeated it several times to aggravate me :) Because he knew there wasn't any left. Indeed. 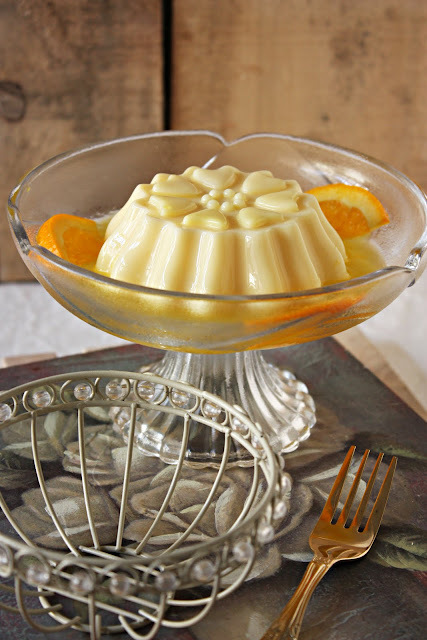 It was sweet surrender when I yielded peacefully to the simple combination of fresh milk, sugar and of course gelatine. It proved quite delicious or 'sedaaaap'. It tasted............ pretty. As sweetly pretty as Kate Middleton. And Jelly humoured me by wobbling all the way as I walked it from the refrigerator to the table. Unlike Kate Middleton. And look at it. It is indeed truly pretty after having been set and chilled in those pretty pink moulds. Thanks to Sarah-Jane of siliconemoulds.com. 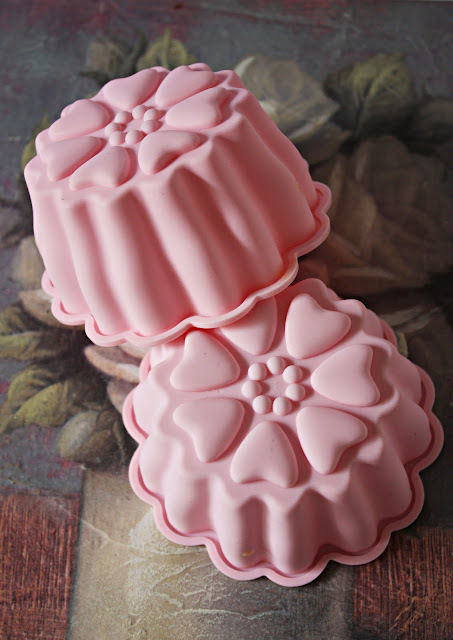 Sarah-Jane designs the most pretty moulds ever. The moulds and the jelly were truly and sweetly satisfying. Happy sigh.......and long live the Jelly! And the silicone moulds too. I practically pushed the jelly out. So easy peasy. Check here if you'd like to see the lovely range of silicone moulds available. 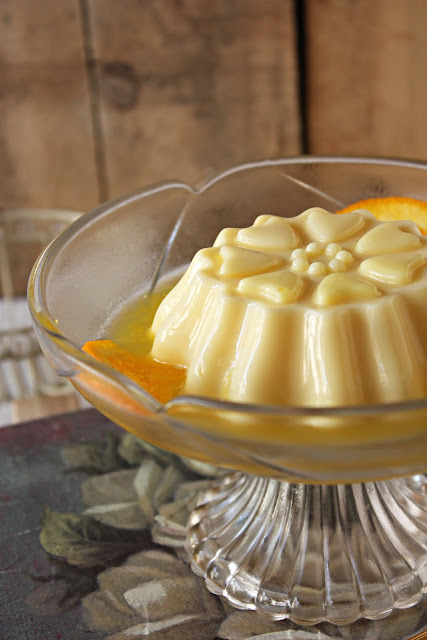 Put milk, sugar and gelatine in a small pot and place over low heat. Bring almost to boiling point and stir to dissolve gelatine.. Once gelatine has dissolved remoe from heat. Set aside. Beat egg yolks in a medium bowl. Pour hot milk mixture over gradually stirring all the time to mix. Pour into small moulds or a 3 3/4 cup mould. leave aside to cool and place in refrigerator to set firmly for several hours or overnight. Place grated zest of lemon and juice of lemon and orange and sugar in a small pot. Place over low heat and stir until the sauce thickens into a light syrup. Leave to cool. Pour around jellies/jelly to serve. How pretty!! Zurin..love the molds..you did a great job..I bet this is good! They are so easy to play with; in shape and flavour. A nice light ending to a meal. You did better than me. You shared ! That looks wonderful. I love the molds. wow this must be as good as it looks. your photos have become more rustic n recently--so homey n comforting.